Well, it’s been a long road, but I walked into Santiago today–and just in the nick of time to go to the noon Mass in the Cathedral. Stunning. Late now. Too tired to write. Will write much more about today tomorrow! There were two Apostles named James. James the Greater is the older of the two. He was also called “The Son of Thunder”. James, John and Peter were honored to be the only Apostles present at the Transfiguration. They were also present in the Garden of Gethsemane while Jesus prayed before His death. 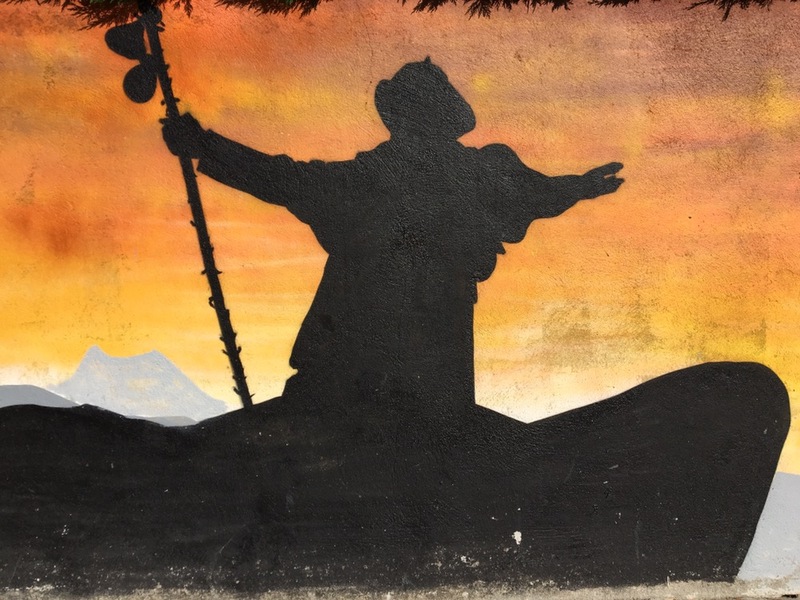 Tradition tells us he evangelized in Spain after the crucifixion for nine years. St. James the Greater was the first Apostle to be martyred. In the year 44, King Herod Agrippa killed him with a sword during the early persecutions of the Church. St. James the Greater is the patron saint of laborers and Spain. And his remains are here. 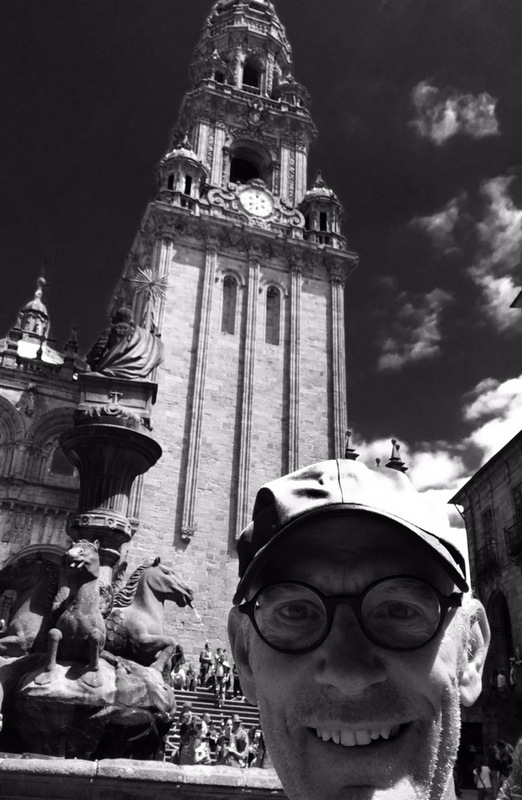 Man of La Mancha Made It to Santiago! AND….if you are Camino Grandfather, I was Grandmother…celebrated 73rd birthday just at the end. Good health is such a blessing! We arrived in Santiago in late Oct 2014, having walked from Sarria. Our friends walked the 500 as you did from France, but I couldn’t leave work for that long. I saw Barbara at Linda Cubbage’s service yesterday & learned of your blog. What beautiful photos and text! Buen Camino! And enjoy the cathedral mass. I will share your blog with our Camino friends who returned this spring to walk the Portuguese route.